The stone trend is still going strong and all of us at Pulp Design Studios share our favorites…. 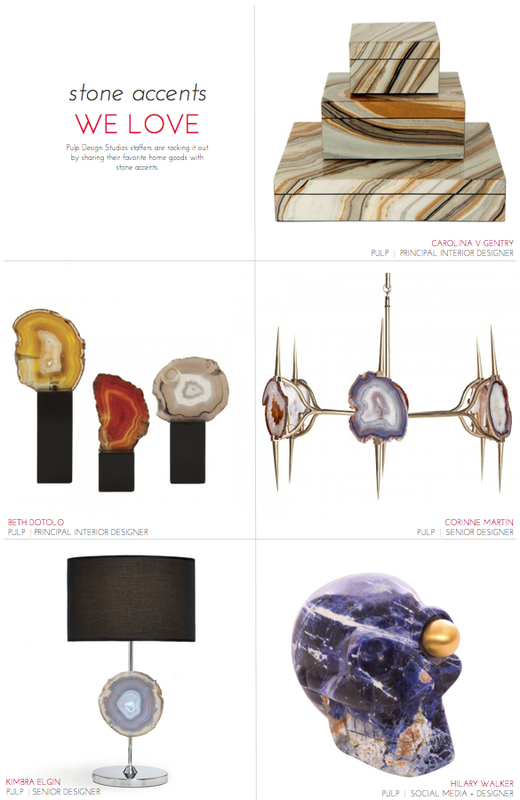 Apparently we have a thing for agate! Which one is your favorite? Fabulous K Brings Pulp… HOME!